Heating up the romance! 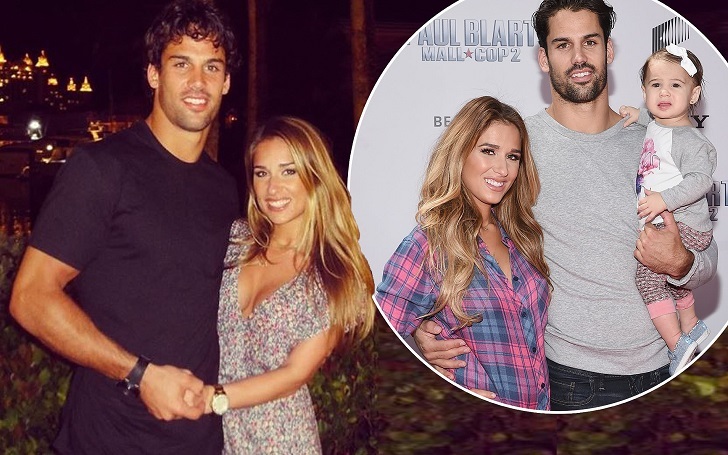 Jessie James Decker gushed about Eric Decker, on the eighth anniversary of the couple's first meeting. The anniversary also marks the first birthday of their son Forrest’s. The singer, 30, took to Instagram on Sunday, March 31, to gush over her loving husband, with sharing a throwback photo of the pair. She captioned the picture, "We were babies here omg!! Not only is it our baby boys birthday today but it’s also me and Erics 8year [sic] anniversary." We were introduced 8years [sic] ago tonight around this time. It’s crazy to think that this exact day was the day we were introduced, a year later got engaged on this exact day and little did we know it would be the day our last baby was born. The former NFL wide receiver, 32, didn't publicly post anything about his anniversary with his wife. However, the footballer honored his youngest child, Forest, on his birthday. Happy birthday to this stud! The perfect caboose – tough, go with the flow attitude, confident and a complete CHARMER! Forrest Bradley you have blessed our family with your joyful spirit and big smile! Daddy loves you to the moon and back. The songstress also posted a heartwarming message to her son, who the couple welcomed last year, on the social media platform, writing, "My sweet baby boy Forrest is 1 today! This baby has been the light of our lives." The Eric & Jessie: Game On alums, who became in June 2013, share two more children together: daughter Vivianne, 5, and son Eric II, 3.